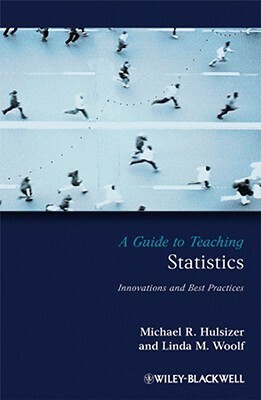 The print version of A Guide to Teaching Statistics: Innovations and Best Practices was the result of years of research. Although much of the material we wrote for the book ended up in print, some material needed to be cut due to space constraints. Material left on the cutting room floor included theoretical discussions, lecture suggestions, textbook analyses, and computer applications. This site was created to provide a home for this material and provide an outlet for any additional material we come across over the years. Early in our psychology graduate careers, we each learned an indispensable lesson about success in academia—become a statistics teacher! Regardless of whether you are a social, developmental, or clinical psychologist, a biologist or sociologist, knowing how to teach statistics makes you a valuable and marketable commodity. Moreover, it is one of the most rewarding teaching opportunities across the curriculum. Few books devoted to teaching highlight the inherent satisfactions associated with teaching statistics. In addition, those of us that teach the course often do little to advertise our successes. Our hope is that this book will lift the veil of silence that shrouds the teaching of statistics and sparks in others the joy of both teaching and learning statistics. Certainly, myths abound concerning the odious nature of teaching statistics. Many teachers firmly believe that most students hate statistics, perceive it to be a necessary but painful class to teach, and imagine that it will naturally result in poor course evaluations. Unfortunately, these myths can become self-fulfilling prophecies, particularly if one is unfamiliar with the literature concerning the scholarship of teaching statistics. We are very fortunate to have taught over 100 sections of statistics. The course continues to be as much fun and as fresh as the first time we each taught the course. For both of us over the years, our teaching methods have evolved in response to changes in technology and statistics education reform. What has remained consistent is that our statistics classes normally fill within a day or two of open registration, we have waiting lists for our classes, and our statistic course evaluations are among our best ratings. Of course, the best part of teaching statistics every semester is being a witness to student transformation as they come to enjoy, value, and understand that statistics is a fundamental tool for critical thinking, a necessary component of the research process, and an integral part of psychological knowledge. Although this book is part of the Teaching Psychological Science series, we researched and wrote this book for anyone, regardless of discipline, who desires to learn more about the teaching of statistics. We conducted exhaustive reviews across disciplines such as education, mathematics, biology, statistics, health, psychology, and social sciences and included both specific and cross-disciplinary discussions and methods throughout the text. Ideally, readers will find the book serves to confirm and provide evidence for their current approaches but more importantly, will also serve as a transformative tool to upgrade course content based on the most recent literature of the scholarship of teaching statistics. Writing this book, much like the teaching of statistics, has been a labor of love for both of us. If you have never taught statistics before, we hope that this book will spark your interest to explore this wonderful teaching opportunity. If you currently teach statistics, we believe this text will either serve as a catalyst to rejuvenate and transform your existing statistics course or serve to confirm what you already know—that the rewards of teaching statistics is one of the best kept secrets in academia.